Ah, the hero’s journey! It’s a relief to see some growth after last month’s setback. It’s not enough to offset what happened in the markets last month, but things are moving in the right direction, despite everything. Onward! This is very good, actually. I went on a trip (#CentsPositive) for the first 5 days of the month, but I spent very little (I had prepaid for the ticket and the airfare, and I split the hotel costs with 3 other women, and most meals were included). But when I got back, the three members of my little family had eight appointments in the nine days after my return. It was exhausting, the appointments themselves cost money (but hey, now we have new glasses and new fillings! ), and we missed a decent amount of work, to boot. The appointments have continued at a rate of about 1 per week since then, with no end in sight yet. I got a permanent crown, another filling, and a wisdom tooth pulled last week, but I still have 3 wisdom teeth that need to be removed by an oral surgeon, then I’ll need to get my braces put on (and another 3 teeth removed by the orthodontist… wee! ), and I may even need a root canal, because why not? Last month I estimated that between vision and dental, we’ll be between $6,000 and $10,000 in the hole at the end of all this. With the addition of the surgical wisdom teeth extractions, the possible root canal(s), and the results of my ortho consult… not only is keeping it near $6,000 looking impossible, it actually looks like it will be about $12,000 all told. So you can see why I’m happy with only losing about $800 in cash this month despite getting a lot of the dental work (and all the vision stuff) done. One more note in the spirit of full disclosure: upon hearing about how much work I was going to need to have done, a relative offered to help with some of the costs. Their gift is reflected in this month’s cash number. Nothing special here! (For my part, anyway.) My regular contributions to the HSA were made, of course. Other than that, it’s all the market rebounding from last month’s dip. Now, where’s the other $4,000, eh market? EH!?! The hardest part of these net worth entries is coming up with something new and clever to say about the fact that a 14-year-old car loses a bit of value every month. I’ve got nothin’. Hey, up nearly 100%! That’s impressive! Except it’s just a blip. A return to Amazon (winter shoes for my husband that didn’t fit) that has been approved but the money hasn’t gone back on my card yet. Blip! Okay remember last month when I increased my student loan payment a bit and accelerated my debt payoff date from December 2022 to September 2022? Uh, well… I did something again. It’s not reflected in these numbers because I did it right after pulling together all the numbers on Saturday night. But, it will very certainly show up next month. 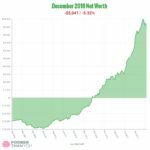 When I ran my net worth numbers on Saturday, I noticed that my very recent student loan payment had put my unsubsidized federal loan just under $1000. $994.51, to be exact. It just looked so… small. My regular credit card spending for everything essential is greater than that each month. It’s dwarfed entirely by the numbers I’ve been wrestling with all month for this dental stuff. Couldn’t I just… pay that off right now? So I did. I paid it off on Saturday night. Well, I scheduled a $1000 payment to my federal student loan servicer, anyway. And because they have a standing payment instruction from me to apply all extra payments to the unsubsidized loan first… that means that as soon as the payment is processed and applied correctly later this week, that loan will be gone. Now, this is generally pretty uncharacteristic of me. Longtime readers know: I don’t prioritize debt payoff when the debts are less than 5%, and my student loans just love to mock that guideline, sitting pretty at 4.75% (like the “I’m not touching you!” of debts). But right now, to drum up an extra $12,000 out of pretty much nowhere without having spare time to just “work more,” I need to be as strategic as possible. Paying off the loan now gets me roughly an extra $37 over leaving the money in savings and slowly paying it off over the year. But it frees up the $105.63 monthly payment for that whole time, too. Funnily enough, that amount is almost exactly half the monthly payment the orthodontist quoted me for the 0% financing on my braces. So with one little move (that took roughly 1 minute of my time, and yes, also $1000 of my savings), I’ve got the means to pay for half of the biggest chunk of my dental work. Well nothing is going to be as exciting as the student loans this month, now is it? And the credit card payment is the same-old, same-old to boot. But, I’m thinking I may actually lower my credit card payment. I’m paying a flat $125 per month, while the minimum payment is actually decreasing each month. It’s down to $112 now, and will continue to fall. 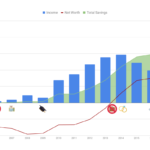 Yes, $13/month isn’t a huge amount of extra cash flow. But since this is a 0% interest credit card, that $13/month is giving me 0% benefit. I can’t spare 0% benefit on anything when I’m trying to scrounge together $12,000. Every little bit counts and every dollar I have needs to be working as hard as I am. And I’m definitely working harder than 0%! Undebt.it is going a little haywire trying to understand what I’m doing with all these changing payments and extra payments, but we’ll see what my new debt-freedom date will be when the dust settles at the end of the month. Just another month of my car insurance, life insurance, and blog costs accumulating. Nothing out of the ordinary. Phew! That was a lot of explanation for a seemingly-innocuous month. Silly November! Alright, let’s deal with the elephant in this room: milestones. The Milestone: $100,000 net worth. Somehow, last month, I thought I had 3 months to get there by the end of the year. Whoops. That’s not how November works! 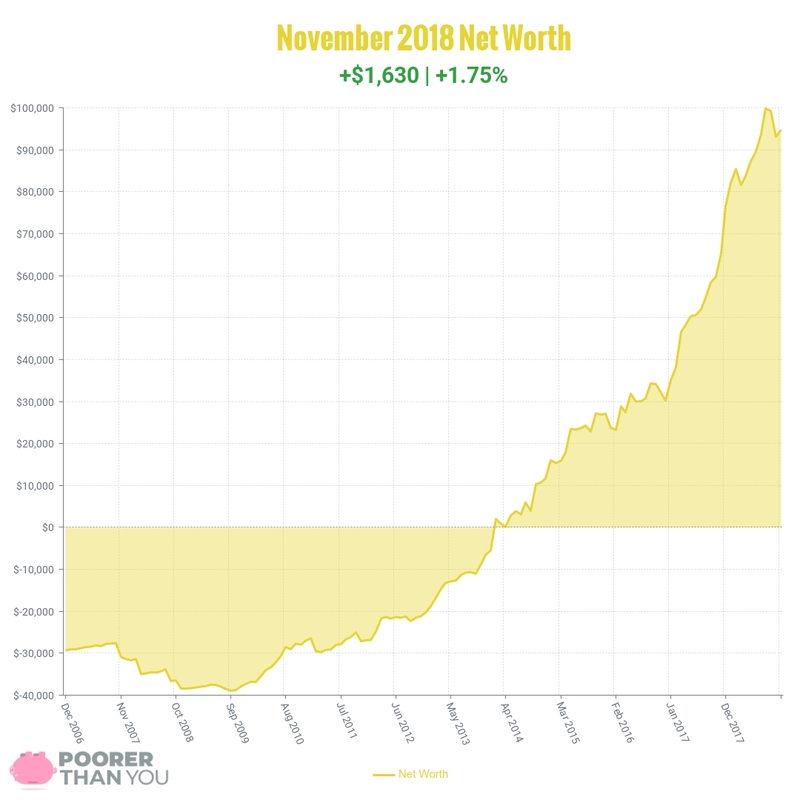 The truth is, it is now looking like it pretty much will not happen, since there’s only one month left, and net worth would need to go up by $5,248 to get me there. Sure, the markets could do crazy good and prove me wrong (like they did in August), but in all likelihood, any market gains will be offset by my continued dental appointments. I will get there eventually, and probably during 2019. And, we can all celebrate the fact that I got so close in August that it looks like I made it when you look at the graph. And that’s what really matters, right? Hooray for paying off that loan!! And we are about to get back into that cycle of weekly appointments, and I’m not ready. Granted, part of that is because of the animals, but still. SO MANY APPOINTMENTS. And they make you schedule them all, too. Ughh. Amazing progress! Good on you for paying off that loan. Yay on the loan! It’s always so fun to see something and just kill it, even when you were intending on going slower. Keep on crushing it Stephanie, you’re doing great! Kudos to you for getting that loan all paid off, 100K, here you come!